We deliver our models in specially designed wooden crates. We have been delivering models in these for many years with great success. All our models in transit are fully insured. 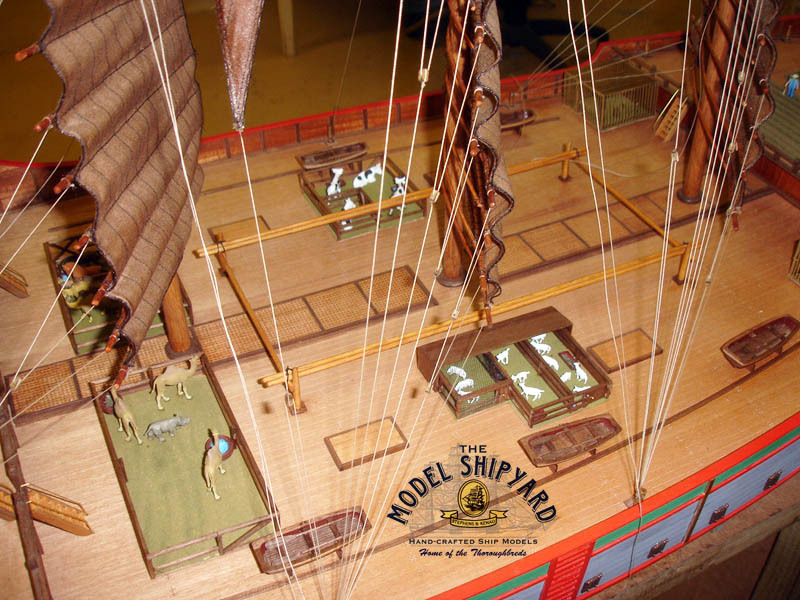 In the unlikely event that the model is damaged in transit, The Model Shipyard must be notified immediately. Arrangements will then be made for the model to be returned to the studio in South Africa where it will be inspected and repaired. If the model cannot be repaired to its original splendour a replacement model will be built and sent to you. We deliver DAP (Delivered At Place duties unpaid). This means that we deliver door-to-door. We pay for the air freight, insurance, customs clearance and final delivery to your door. We export our models under a tariff heading that is usually duty free. However this is not a guarantee because it can vary from region to region. You might have to pay VAT (Value Added Tax) or GST(General Sales Tax) depending on which tax regime prevails in your region. 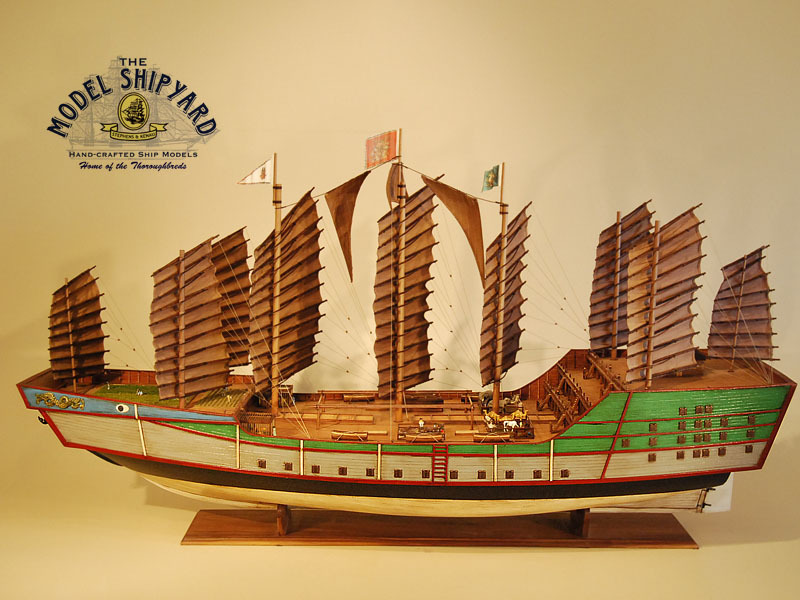 The Zheng He was a Chinese Treasure Ship in the fleet of Admiral Zheng He. 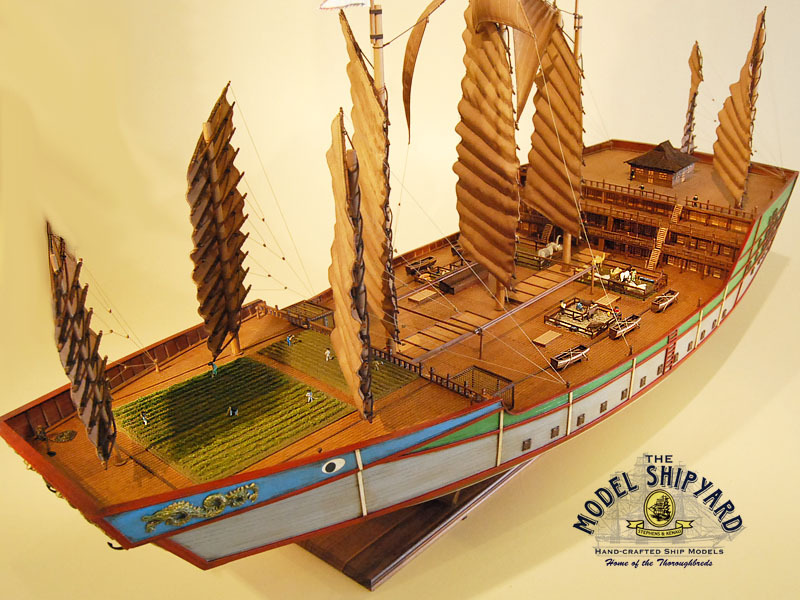 The Chinese Treasure Ship was a large wooden ship in the fleet of Admiral Zheng He, during the early 15th century Ming Dynasty. He led 7 voyages. There seems to be disagreement among scholars about the factual accuracy and correct interpretation of accounts of the treasure ship. Treasure ships were considered luxury ships rather than warships. 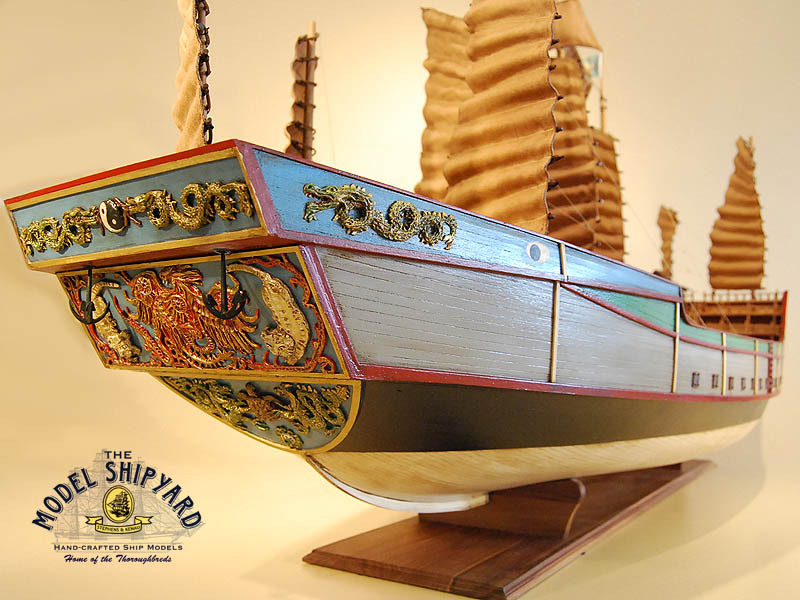 According to some records, Zheng He’s treasure ships were mammoth ships with 9 masts and 4 decks. 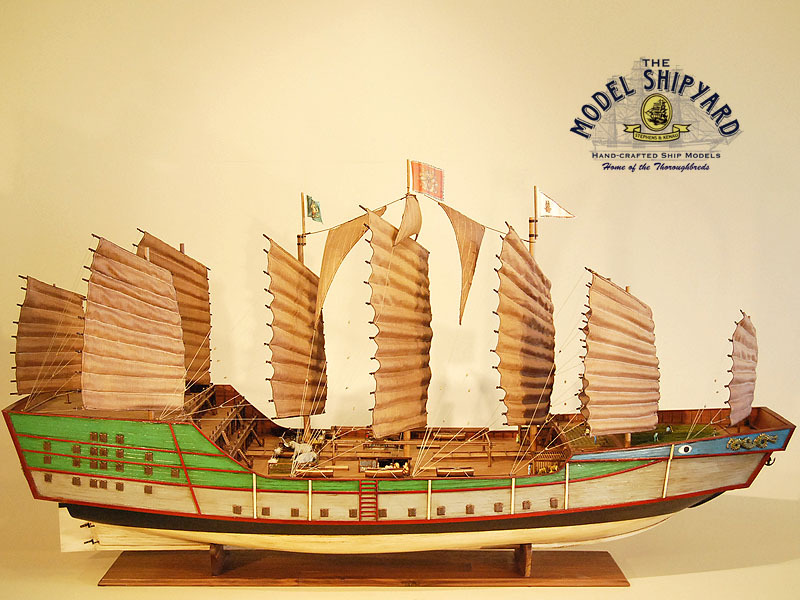 Zheng He’s treasure ships could accommodate more than 500 passengers, as well as a massive amount of cargo. 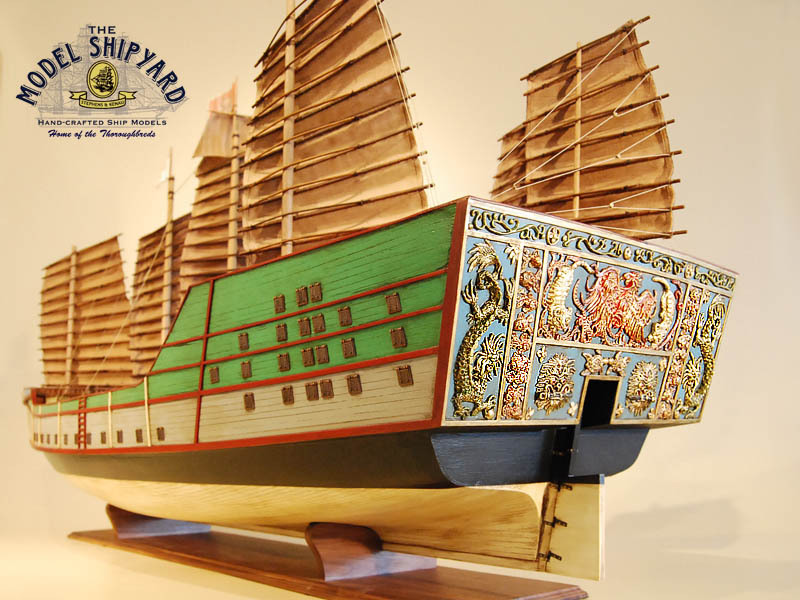 Zheng He’s fleet consisted of 300 ships, including 62 treasure ships. Chinese records assert that Zheng He has traveled extensively, sailing as far as East Africa. On the return of Zheng He’s last voyage, he found a new Emperor whose court was uninterested and even hostile toward the continuation of his naval adventures. Zheng He’s ships were decommissioned and sat in the harbor until they rotted away. Some scholars suggest that the Emperor ordered the treasure ships and records to be burned, although exact information on their fate is unknown. 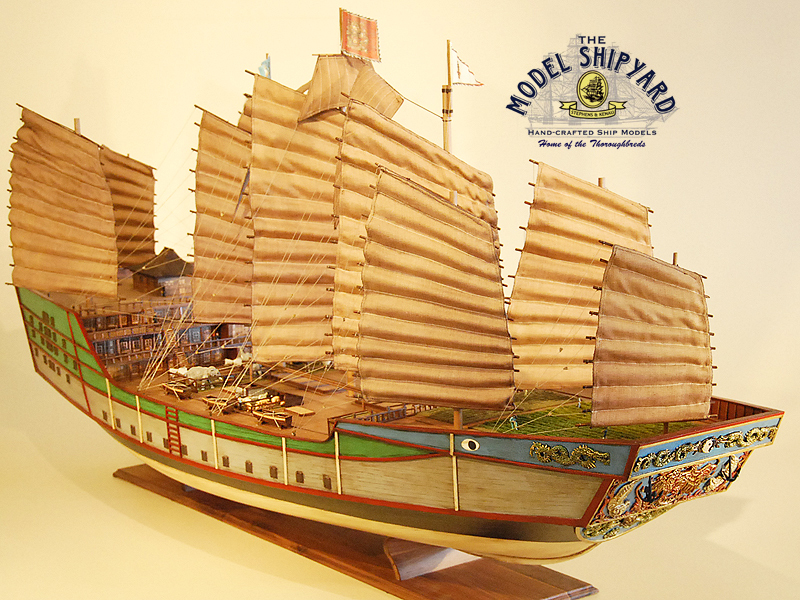 A replica of Zheng He’s treasure ship was built in Nanking and was to be ready for sailing in 2013.